As soon as I saw the list of weekly themes, I put aside this wonderful focal from Tree Wings Studio. 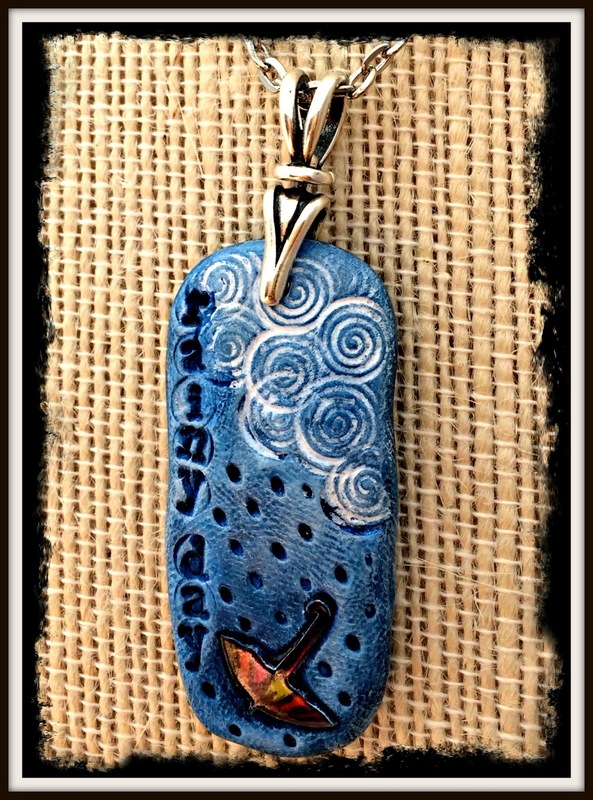 I had even searched out my sketch book and designed up a really fun necklace with rain drops. But when I was putting it together, the focal kept telling me that it wanted all the attention. It took a while but I finally listened and strung simply from a sterling chain. Sometimes, simple is best. And I can see why this is the case - such a lovely pendant. It stands out so perfectly on the silver chain. Beautiful! !